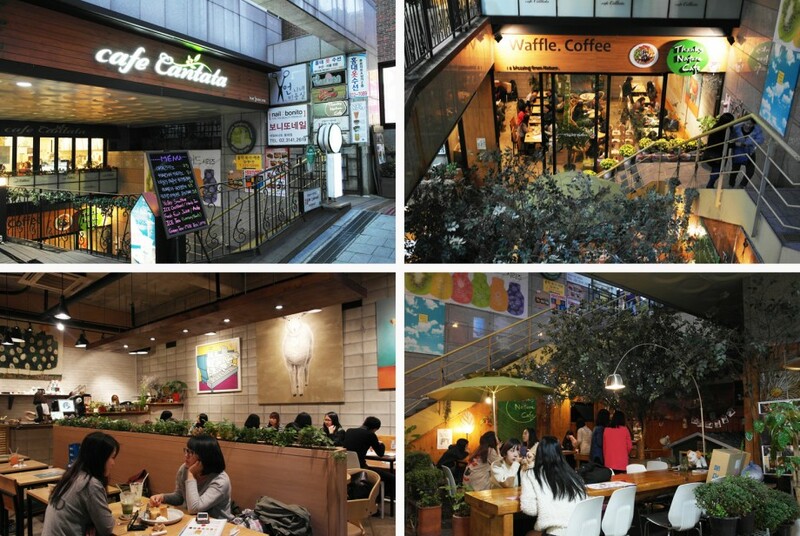 Let’s expand our café hopping culture all the way to Korea! Have you seen real sheeps in the cafe before? 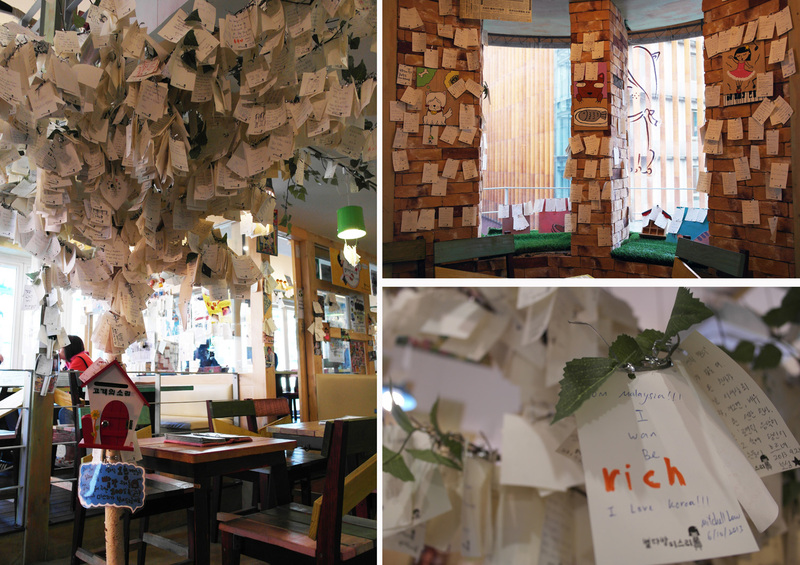 Been to a café where your favourite Korean artistes been to? Japanese San-X themed cafe? A cafe that you can bring your pets to or play with other pets? The transportation system in Seoul makes it so easy for tourists to get around within the city. 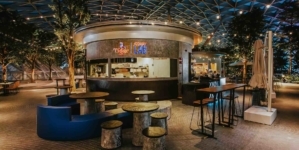 Along with your google map navigation, you will never ever get lost while finding cafes. 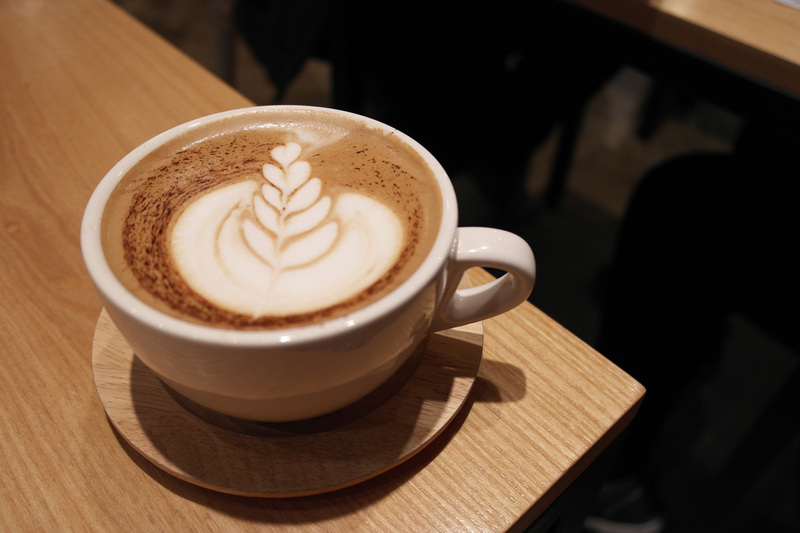 Here are 6 of my favourite cafes that you should not miss in Seoul, Korea. 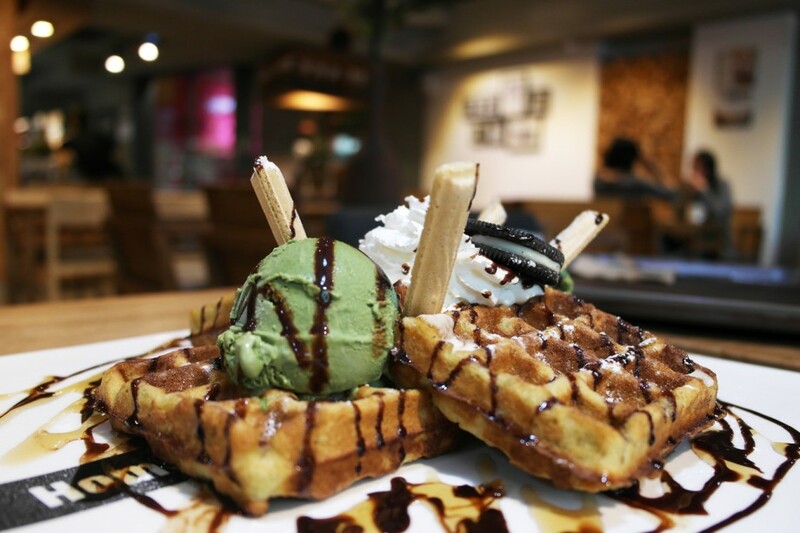 You may find this café name very familiar if you are a loyal follower of the Korean reality TV show “We Got Married”. The show was two artistes were being arranged to do what normal couple would do on a date. Couple “YongSeo” (Yonghwa of CN Blue and SeoHyun of Girls’ Generation) filmed in Miss Lee Cafe. To find the cafe, look out for this little girl logo at the side of the wooden exterior building. 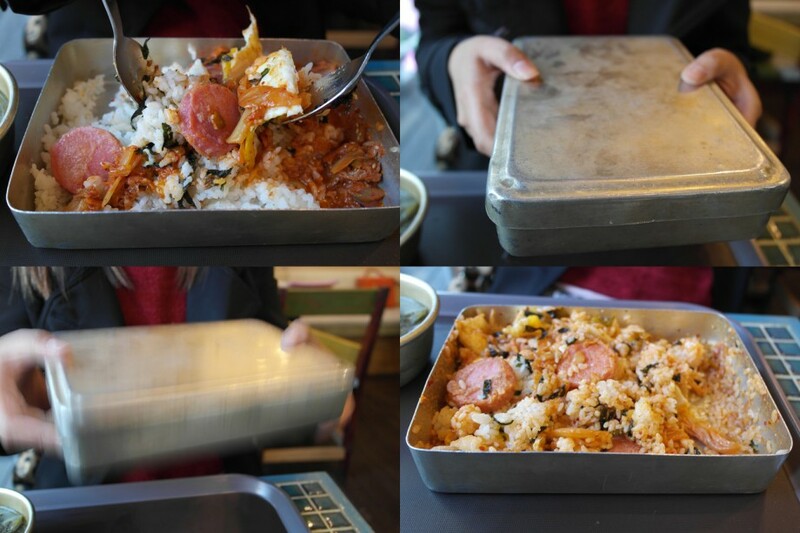 Miss Lee Cafe is very famous for its metal-container-lunch-box which is called as Bibimbap. You just have to slightly stir mix the ingredients first then close the metal box and begin to show off your shaking skill. 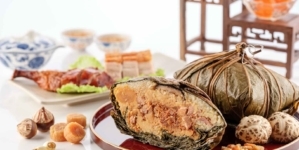 Hmm.. tasted like kimchi mixed with rice lor…lol anyway the food variety is quite limited too. 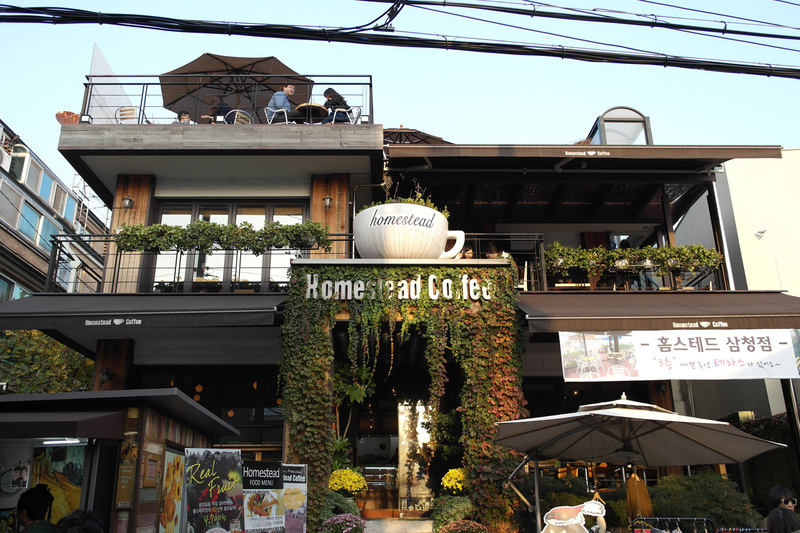 When I was in Korea, my friend messaged me and strongly recommended this café. Luckily, I also spotted this café while I was finding Miss Lee café. It is just next to Miss Lee café in Myeongdong branch. It is located just above Olive Young. Please use the staircase within the Olive Young store in order to go up to second level where the café located at. We spent a lot unnecessary time and energy finding the correct staircase to go up… But the trouble was worth it! 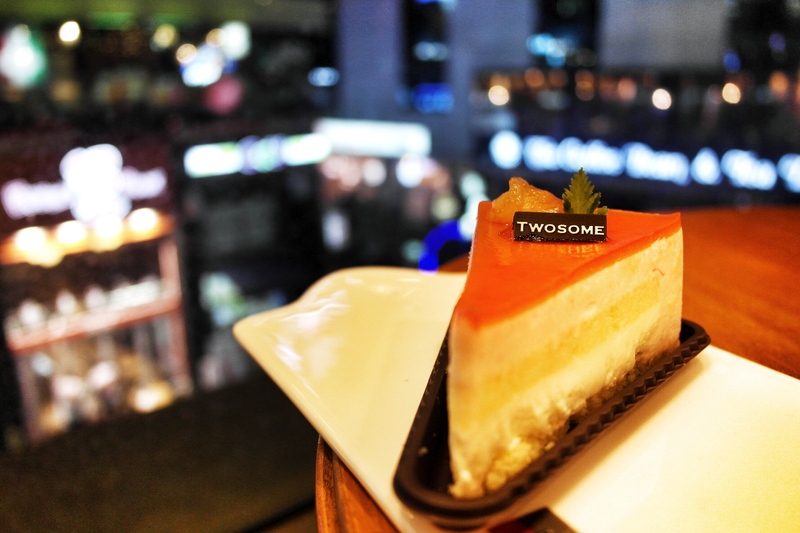 Check out their Grapefruit Cheese Mousse (5,300 Won). 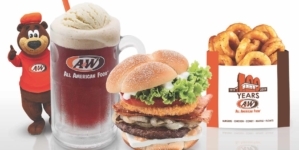 This is such a unique flavour, you can hardly find it in Singapore. 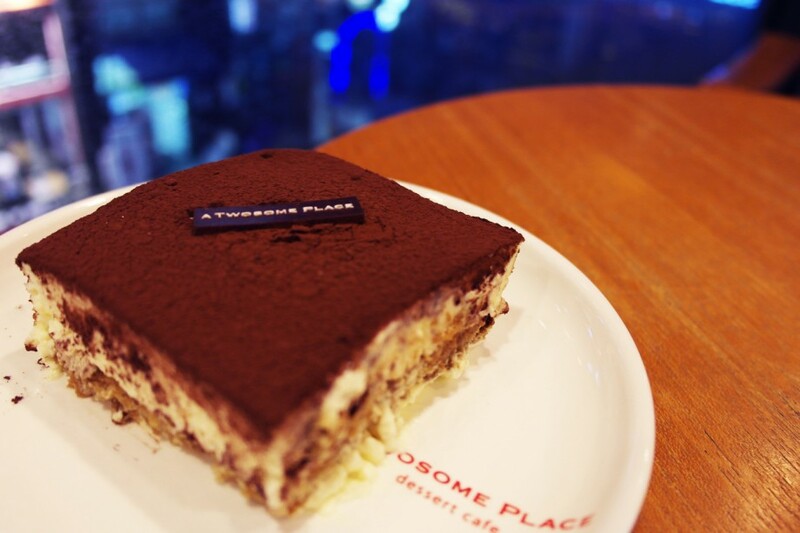 And the lovely Tiramisu (5,300 Won). Both cakes were really good and priced very reasonable too. The Tiramisu was not too wet nor too dry. The top layer cocoa powder was so thick that it almost choked me a few times lol.. 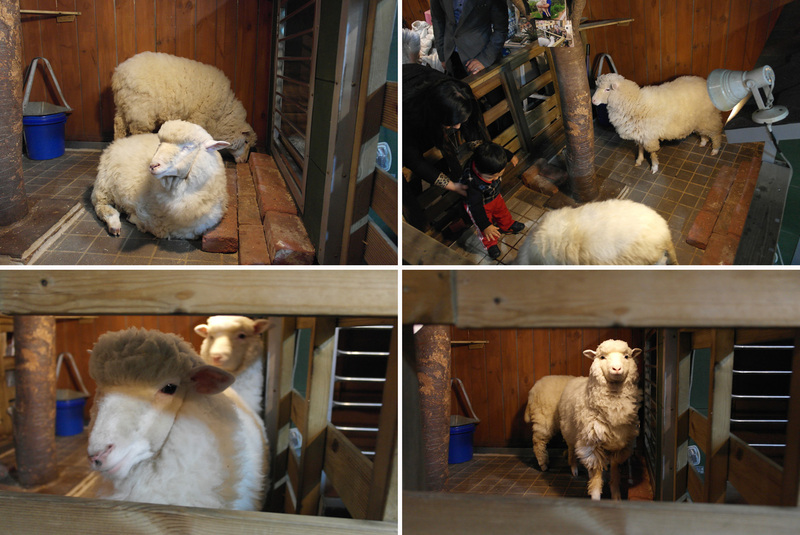 Thanks Nature Cafe, also known as Sheep Cafe, located near to Hongik University. OH, I think “We Got Married” also filmed here as well. Enjoying coffee in company of sheeps? How great could a life can get? Google “café cantata” to find the location as it is quite easy to miss it. Look left while walking in the correct direction. The owner will let the sheeps out sometimes when there is lesser crowd! Let’s see real sheep now! You will know how safe and friendly the sheeps are when you see a mummy allows her little boy in the barn to play with sheeps. They are so omg cute lah! Watching the sheeps while sipping a cup of heartwarming Mocha (5,000 Won). I love the mocha, this mocha is probably the best mocha I ever had. The combination of coffee, chocolate and milk was just nice! 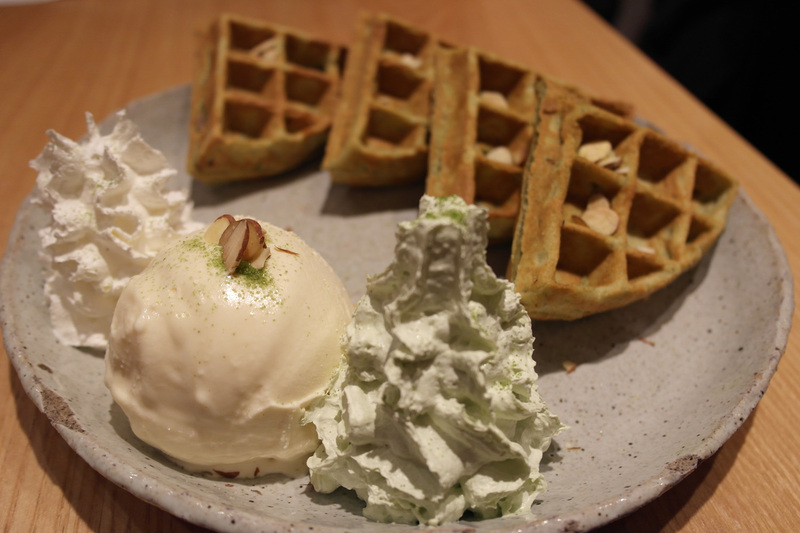 We order an Ice Cream Waffle (7,000 won) as sweet companion to our delicious hot beverages. Direction: Walk upstreet towards Hongik University. Find “Cafe Cantata” on your left and Thanks Nature Cafe is just at the basement floor. This café has so many branches in Seoul that I could not count how many times I pass by. 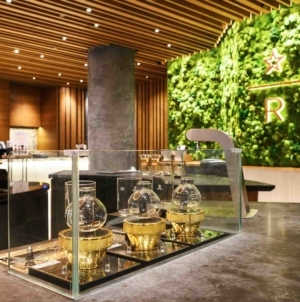 I think the concept is similar to Starbucks. They do not serve real main courses hence please have meals before heading there. I think probably because it is a little not hygiene having meals while having 10 over dogs running around the place. Hence, only drinks are served there. 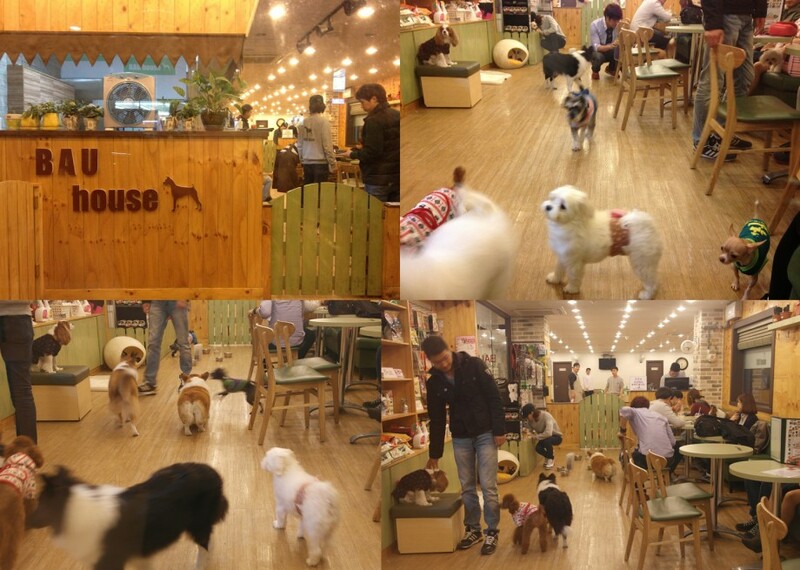 It is a great place for not only dogs, even for the owners to interact and share about their dogs experiences. Not to worry if you have no dogs, just walk in, sit down, order a drink and play with other people’s dogs. Direction: Make a U-turn after exit 3 or 4, turn in to alley next to a black shiny building. Walk for 1 minutes and you will see the cafe on your right. Here comes my favorite café of all and I have been wanting to go to since long time ago~ Rilakkuma is a japanese character produced by San-X. 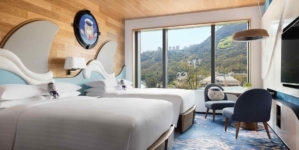 Just like the name, he enjoys relaxing and his favorite pastime are sleeping, lying around, watching television, listening to music and soaking in hot springs. 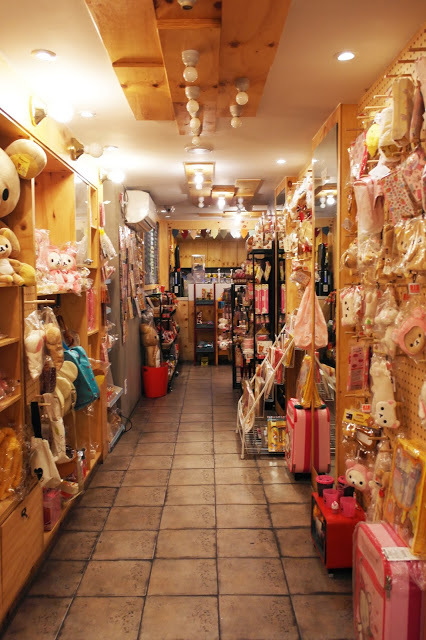 You are like walking through a magic door leading to a walkway filled with rilakkuma stuff! Always wanted to buy one giant rilakkuma bear and put on my bed. Oh wait, then where do I sleep? 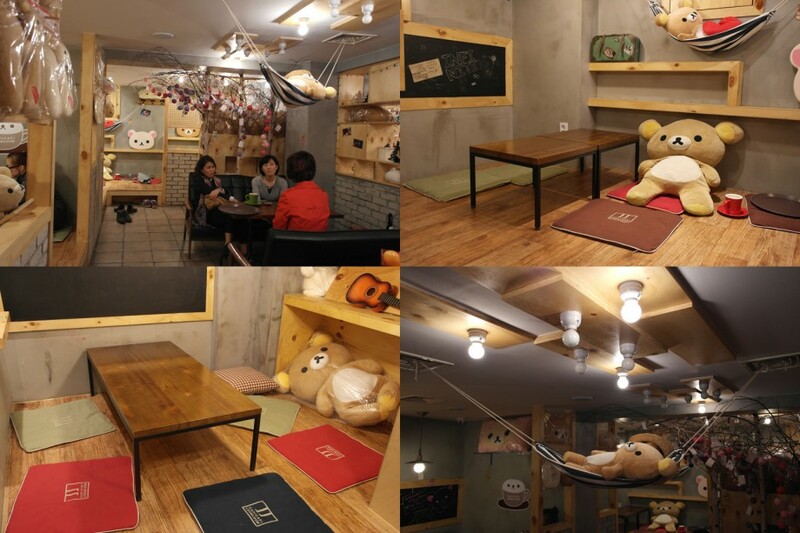 The café is too cosy that I can lay there the whole day and do nothing just like rilakkuma. 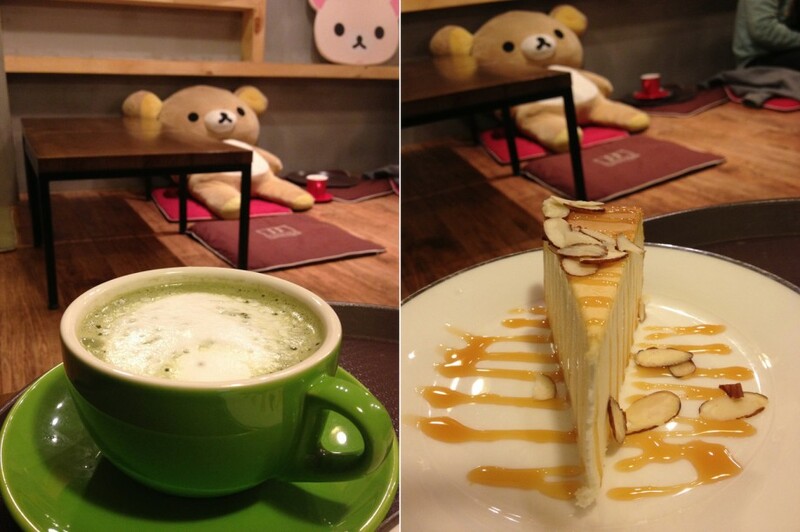 I would want to go back again~ That’s our Green Tea Latte and Cheesecake. The latte is so-so but the cheesecake is surprisingly nice. Direction: Turn right into the alley before KB bank and walk straight until you see a cross junction. Turn left and keep right. The cafe is on your right. You should’ve visited the Hello Kitty Café in Seoul too! It’s very cute :3 And since you’ve enjoyed the Capi Capi Loom Loom Café, you’ll love Hello Kitty Café too!